Thought of the month…What is AI? Artificial intelligence (AI), machine learning, deep learning, big data and the internet of things: these are all terms that are scattered around the technology, business and wider communities like confetti at a wedding. It is, however, apparent that the ubiquitous use of these terms has become problematic as they are seemingly applied to everything and anything. As these terms have proliferated into the lexicon of journalists, educators, business and tech gurus their misuse has resulted in confusion not only in the tech community but now into the general population. I do not want to go into an elaborate academic discussion on the exact definitions of these terms, leading inevitably to a politically correct semantic mire; I do, however, want to highlight how widespread and inaccurate use of the terms in technical and popular discourse is damaging by briefly examining the use of one of the terms…Artificial Intelligence…AI. I have chosen AI for several reasons. Firstly, it has a significant provenance. The term was first coined in 1955 by John McCarthy, a professor at Stanford University and a computer scientist pioneer and inventor. Secondly, it is a term that is seemingly being applied to all forms of tech development. Thirdly, AI encompasses other approaches such as machine learning and deep learning. Lastly, technology’s ability to deliver AI is a contentious notion and there are clearly applications of the term that are at best misunderstandings and at worst down right mistruths. Many of the technology solutions described as encompassing AI are just software. Clever software, but just software. Definitions and descriptions of AI include statements about computers (machines) being able to simulate intelligent human behaviour, performing tasks normally requiring human intelligence, such as visual perception, speech recognition, decision-making, and translation between languages. Turing in 1950 proposed that if a computer could fool a person into believing that it was human, then it should be classed as intelligent. This became known as the Turning test. John McCarthy stated that, “every aspect of learning or any other feature of intelligence can in principle be so precisely described that a machine can be made to simulate it.” This is a bold statement. A true artificially-intelligent system is one that can learn on its own. It could be argued in some technologies, such as natural language generation, speech recognition, machine learning platforms, deep learning platforms, etc., are evidence that AI applications exists and these forms of AI are already offering significant benefits. To a certain extent this is indisputable. 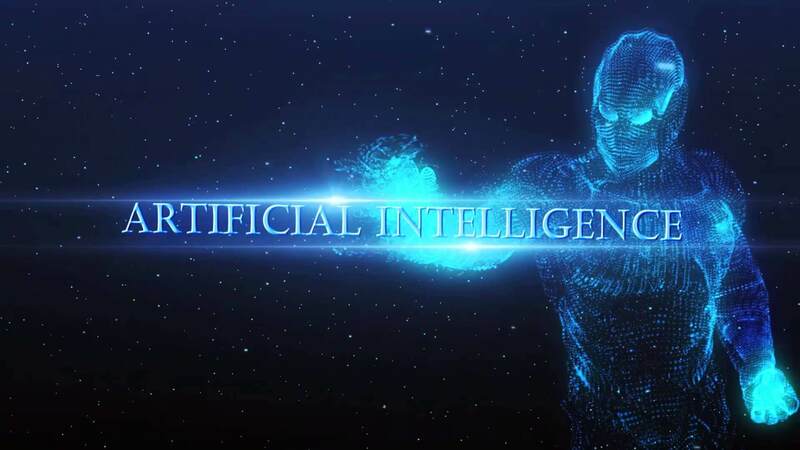 AI enhanced neural networks from the likes of Google’s DeepMind, which can make connections and reach meanings without relying on pre-defined behavioural algorithms, is an example of AI at its most advanced at this time. AI is, however, not omnipresent and all-encompassing as is being suggested by the hype that we witness in the media. For example, Facebook’s widely reported claim that it is utilising AI to detect suicidal comments, is little more than a pattern-matching filter that flags posts for human community managers. Coca-Cola reportedly wants to use AI bots to produce marketing content, but it is not clear what they mean by this. Many chatbots hailed as AI-enabled devices are effectively glorified interactive voice response (IVR) systems or phone trees. Clever robotic functionality is not AI. It is clever robotic functionality. 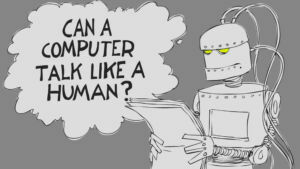 Because a computer can fool a human into thinking it is a human, does not mean that it is operating using AI. Therefore, may I suggest, that the Turing Test, today, is not fit for purpose. So why are companies and individuals promoting AI to the extent that we have seen? At best, we can put it down to the ignorance of those using the term. The term’s widespread use is also because it is fashionable, a fad, and we are all guilty to a greater or lesser extent of following fashions. It is a lazy way of conforming. Perhaps, more cynically, corporate marketing executives and start-ups are using the term to attract buyers. A feature of software is that often buying decisions are made without intimate and clear knowledge of the functionality of the product, let alone looking under the bonnet at the engine. The use of terms like AI adds corporate gravitas, allowing corporate managers and their minions to claim they are at the cutting edge, whilst in reality little or nothing new has been introduced. Most worryingly, some individuals in companies are using the term to miss-sell product. Again, because of the naiveté and novelty of much software and the promises being made by companies far too many are taken in by bogus claims. The dangers of the misuse of the term AI is that it can lead to confusion in the market. The unscrupulous marketing of software solutions that incorporate claims that the product utilises AI might result in disengagement, improper policy development, and poor resource and investment allocation. All of these are not only bad for credible AI developers but for the whole of the tech industry. So, what can I suggest for companies or individuals considering purchasing a product that claims to have properties based on or enhanced by AI? Firstly, and this stands for any corporate purchase, make sure you have a defined business case for a purchase. Secondly, be clear what the AI can be used and that it adds value over and above existing solutions for your business; Thirdly, make sure you have the expertise available to look under the hood to assess the value of the technology (AI); Lastly, ensure that your organisation has the infrastructure, particularly the data management platform, that can utilise the AI. AI captures the imagination as did Hal when ‘he/she’ appeared as the lead character in the seminal and sci-fi epic film, 2001, A Space Odyssey, released in 1968. 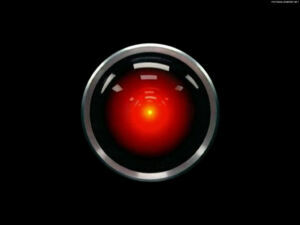 But the reality is – ‘Hal, where are you?’ Some way off yet, but on its way? The Alacrity Foundation (UK) is a charitable trust funded by the Welsh Government and private philanthropists. The Foundation is part of a global network of technology incubators and accelerators – http://www.alacrityglobal.com. The Foundation’s programme (http://alacrityfoundation.co.uk) mentors and trains graduates to become the new generation of high-tech successful entrepreneurs. Normally, students graduate after a year’s intense applied education at the Foundation. Our graduates take a demanding year of applied entrepreneurship education. Alacrity’s programme begins with a five-week coding boot camp which is an intensive software development training programme taken by all graduates. It provides an opportunity for graduates to boost their technical knowledge and skills to the point where they have acquired a level of coding skills necessary to join the programme. If the graduates progress to the next stage of the programme they undertake a second bootcamp that is a concentrated five-week business and entrepreneurial skills’ training programme. It introduces business and entrepreneurial concepts, frameworks and skills that form the structure of the remaining programme. The remainder of the programme consists of teams working with their partners in developing the technology solution to the partner’s particular problem – real-life technology-based solutions for real-life problems. Throughout the programme graduates are mentored by some of the leading practitioners in technology start-ups. The programme culminates with the teams delivering a solution for their partner organisations and producing a business plan that details how they will develop a scalable business based on the technology solution they have produced. If successful, the team will incorporate and have access to a seed-fund of up to £250,000 per company to develop their business. Throughout the programme, our graduate entrepreneurs are paid a stipend of £1,500 per month. The Foundation’s latest cohort are drawn from a range of subject areas and higher education institutions from Wales and across the UK. All the programme’s participants are graduates – this is a requirement. They are the successful twelve gradautes from almost 150 applicants. All of our graduates have the following traits in common: they want to be entrepreneurs; they already have some personal successes (and failures); they are fascinated by technology; and, most importantly, they are resilient. Of course, we want to recruit the most talented computing engineers/coders/developers. But even these individuals must want to start and develop a successful business. We also recruit graduates from all other subjects, but particularly from STEM (science, technology, engineering and maths based subjects). Being a graduate with a good classification in your first degree is a measure of ability and aptitude, but we also look at the whole person. We look for people who have exhibited an entrepreneurial flair and/or who can evidence resilience. Developing the next generation of entrepreneurs is not a science, but what we do know is that having inner strength to face up to and overcome the inevitable challenges encountered by all start-ups is essential. Competition for places on the programme is understandably high. We are a unique programme in the UK and like to believe that our offer is one of the best open to those wishing to develop a scalable start-up based on tech. Candidates sometimes are interviewed and tested on their technical competencies a number of times, but this is to ensure that the candidate is right for the programme and the programme is right for the candidate. Do not let this opportunity pass you by. We welcome informal visits to the Foundation and or phone/video conversations.